In April of this year the New York State Department of Environmental Conservation (DEC) unveiled the most recent unit management plan (UMP) for Belleayre Ski Center. It included a recommendation for $74M in upgrades over the next several years. At the same time they released a revision of the environmental impact statement (EIS) for the Belleayre Resort development. 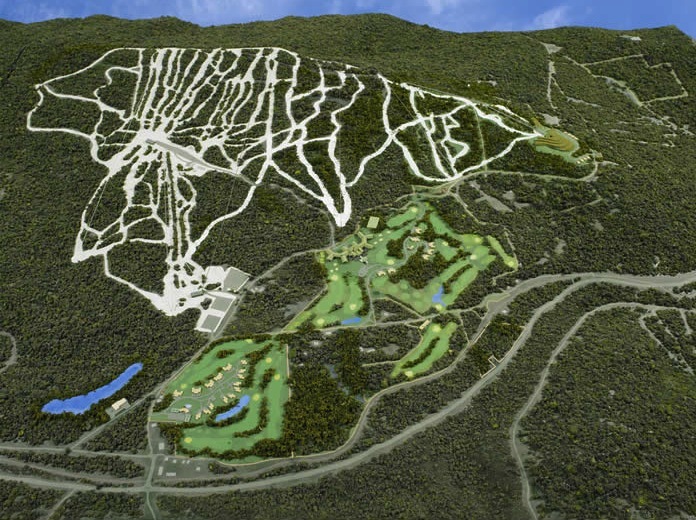 The UMP for the Belleayre Ski Center calls for the construction of three new lifts, refurbishing two others, cutting 16 new ski trails (primarily at Highmount) and upgrading the ski center’s snowmaking infrastructure. The plan also includes a new lodge, expansion of both the Discovery and Sunset Lodges and several parking lots. In its current form, the Belleayre Resort project includes plans for two hotels, 270 hotel rooms, 250 fractional units and an 18-hole golf course. The most recent proposal is about half the size of the original and would be privately funded. There is some precedent for this kind of spending. Over the last several years, New York state’s other ski areas — Whiteface and Gore — have had significant investments. It’s likely that the proposed investment in Belleayre would also take place over time. Skiing has driven economic development in the Catskills since the mid-1930s. While the war slowed the growth of the sport, it regained economic importance in the early 1950s. Belleayre was a primary driver of activity. Belleayre’s mission was to “offer in winter the same sort of inexpensive recreation that Jones Beach offers in the summer” and spur growth in rural areas. The ski center soon became a popular attraction that created jobs, and possibly even more important, long-term interest in lift-served skiing in the region. The interest in skiing benefited communities beyond Pine Hill. 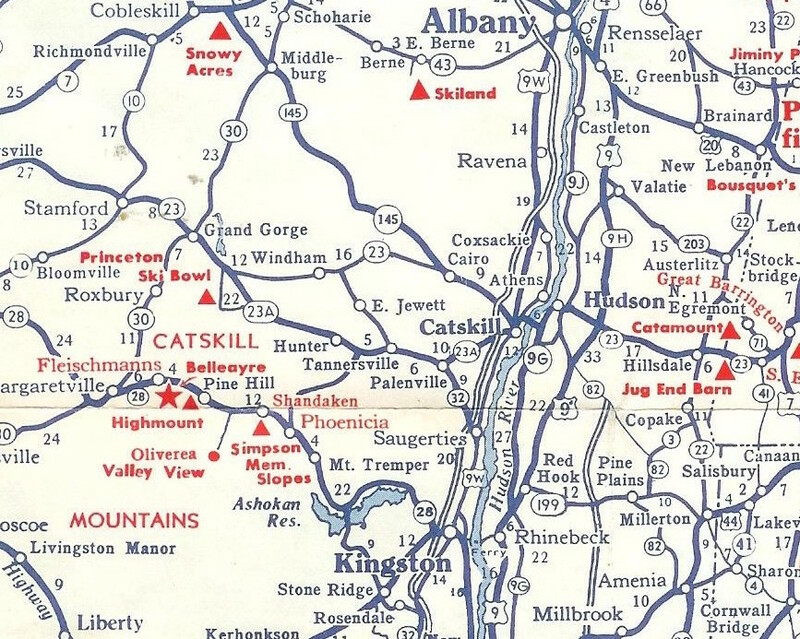 In the 1960s there were dozens of ski areas in the Catskills. Many were small slopes with a single tow. As the sport advanced, skiers grew to expect more vertical, infrastructure and amenities. The smaller ski areas struggled to compete, and many disappeared. By 1999 the Catskills had nine ski centers remaining. The “Big Three” — Hunter, Windham and Belleayre — continue to operate and have seen increased skier visits over the years. Of the “Little Six” — Bobcat, Highmount, Sawkill, Cortina and Scotch Valley have closed — only Plattekill remains. In an important way, the Catskills are different from the Adirondacks. The Catskills have three viable private ski centers. Each area fills a unique niche, but the reality is that Hunter, Windham, Plattekill and Belleayre are partners and competitors in the economic engine of the region. We believe that the state should be sensitive to the competitive situation in the Catskills. While Belleayre requires long-term investment to remain viable, lawmakers should remember that part the state’s original mission for Belleayre was bring growth to the region. The question remains: how can New York ensure that Belleayre has the infrastructure it requires to move ahead, without putting the other taxpaying employers behind? We believe that the state has to plan and execute upgrades at Belleayre. We also believe that New York could entertain proposals from the Catskills private ski areas for similar infrastructure investments. Successful proposals should be required to demonstrate the potential to create jobs in the region. An independent review board could estimate each proposal’s viability and make approval recommendations. Approved proposals would be eligible for a publicly funded long-term low or no-interest loan. The initiative could improve competitiveness, encourage skier visits and create jobs in the state. Delaware County especially could benefit from this idea. Plattekill stands out as the closest private area to any public area in the country. At the western edge of the Catskills, the mountain has to draw skiers past other larger areas. It’s the last of a breed of small family-owned businesses with no corporate backing. This kind of capital infusion could help ensure the employer’s ability to compete. Clearly this simple sounding idea could be complex to execute. But development in the presence of the forest preserve often requires finesse and political will. It’s built into creating economic growth in the mix of public and private lands that uniquely define the mountains in New York. Winter sports can continue to play an important role in maintaining economically viable communities in the Catskills and Adirondacks. To make it work we’ll need innovative ideas on how to balance public and private investment towards this goal. Post your ideas in the comments and speak out at the DEC events below. The DEC is accepting comments on the Belleayre Resort EIS and the Belleayre Ski Center UMP through June 24, 2013. The DEC will hold two public information sessions about the proposed projects in May. An informational presentation on the Belleayre Mountain Ski Center Unit Management Plan will be given at 7pm on May 22, 2013 in the Discovery Lodge at the Belleayre Ski Center on Route 28 in Highmount. A public hearing on both the Belleayre Ski Center plan and the Belleayre Resort project will be held on May 29 at the Discovery Lodge, in two sessions beginning at 3pm and 6pm. Public comments on both projects will be taken. It’s questionable whether the state would appropriate money to a privately run business: that would just open all sorts of floodgates. Low interest loan? It’s done all the time. Tax breaks and “grants”. There is a massive chip plant funded that way near Saratoga. I understand the point and it is a good one but i question the notion that belleayre getting bigger necessarily hurts plattekill. plattekill is my “home mountain” and i go there way more than belle but more people going to belle means more people going to plattekill as well. that by itself brings up the neighborhood. i think the idea of a loan program makes sense to level the field though. I would say there is another facet to the discussion: hunter has always been way bigger than either belle or platts and they have survived because they both offer a different experience. plattekill management certainly knows this and works hard to hone their independent spirit. a much bigger belleayre (and i would say it would mostly just be bigger as the terrain is quite uniform on highmount) with a golf course might cause it to loose some of its vibe. this is something that state agencies probably have less of a handle on i would guess. This is all assuming that, as always, if they build it, people will come. We’ll see. I’m kind of skeptical, myself. There should not be dime invested in capital improvements to Bell until it shows it can turn a profit. If that ever happens, and I seriously doubt that it will, then care needs to be taken to avoid harming the private ski areas in the Catskills with any expansion. AS – I’m not saying the investment is a good idea, but your opinion is crazy. Roads don’t turn a profit, but we invest in them. The internet didn’t have a use… it was invested in. Pretty much every business that “goes public” is running at a loss at the time, but they get invested in. It’s just a weird position to take that “Not a dime” can go somewhere until it shows a profit. Besides, all of the books are entirely 100 percent cooked and the NYS public will never know the truth about anything related to ORDA or basically anything else. I bet they broke even this year though with skier visits being way up, just like they were everywhere. No substitute for snow, not hotels, fancier lifts, 2-1 draughts, NOTHING. Would you rather invest in a profitable company that has great IP, strong assets, a good track record of making money or a company with a poor product compared to its stronger local competitors, that has a history of losing money and employees that went called in sick on purpose during the busiest week of the year only a year or two ago. Until Bell proves it is worthy of investment no one in their right mind would invest in it if it was a private company. I don’t think Belleayre will ever be exciting for the expert skier, but there are a lot of families living a short distance away. Having Belleayre is still better for the Cats than the Cats with out it. Ausie – There’s an amazing bbq place on route 28 if you’re heading to the public hearing. We can get the economic engine cranking early! When people talk about any of New York’s mountains “breaking even” that’s a discussion of operating costs, exclusive of infrastructure investment. Nobody who knows the numbers pretends public ski areas throw off enough revenue to fund the capital investment required to keep a mountain going. Think about it – a mountain with five lifts is going to need a new lift every five years, and that kind of money doesn’t come from the amount of positive cash Gore or Whiteface or Belleayre can generate in that time. And lifts are only a fraction of what is needed. If you believe in state run mountains you have to believe in allocating funds for infrastructure. And If Belleayre is to compete they will have to get new infrastructure on an ongoing basis. The same is true for Whiteface, Gore Plattekill or any mountain. To expect Bell to be “profitable” without investment isn’t realistic. What the right amount is, I don’t know. Its not a question of investment but a question of how much is too much. What they are proposing to do at Belleayre is nothing short of incredible given the times we live in. Perhaps, maybe, a little short sighted also. When skiers/riders can get the same amenities else where with terrain that will match the price of entry, selling Belleayre as a resort gets far more difficult. The DEC cant find any dollar amount to help with dealing with invasion species threatening Lake George, arguably one of this country’s last great unspoiled waterbodies, but have 73 Million for a UMD for Belleayre. Downstate to Upstate, I just dont see how this will ever sit right with the State Residents on return of investment. I feel for those in the rt28 Corridor, that see the mountain as a life line, but sometimes things eventually end, and you have to look towards a new future. Cats may need to be replaced every 5 years but with proper mait lifts should last 20 years. Why invest in below average at best terrain mt when the local privately owned competitors in the Catskills have much better terrain. My argument has always been that Bell is not competitive due to this and no amount of misguided investment changes that. The other private Catskills ski areas that died did so for this exact reason. Bell has been spared because the state won’t let it die. It will never be competitive! This a very interesting and thought provoking article. We see that some people still bang the same drum without thought to some of the larger issues facing Belleayre and the Rt 28 corridor. As New York State is in the ski business for the foreseeable future, it needs to maintain the 3 areas at a realistic level to be able to compete. The $74 million number is the result more than 20 years of neglect by NYS. Had there been ongoing capital expenditures much less money would have been spent over the years. This lack of spending has led to the poor job/business situation in the Belleayre region. The idea of making loans available to the other three Catskill ski areas is an interesting idea. On one side we have 2 seemingly profitable privately owned ski areas (Hunter and Windham). It might be hard to justify making low interest loans to these two areas. However, if they can somehow show that the loans will help increase jobs in the region then they should have the opportunity to apply. Plattekill is on the other side of the ledger. They could really use the funding. Belleayre’s upgrades would seem to have the biggest negative affect on Plattekill. (I happen to think Plattekill will eventually benefit from an upgraded Belleayre, but that is a different post). Belleayre is an important part of Catskill skiing. 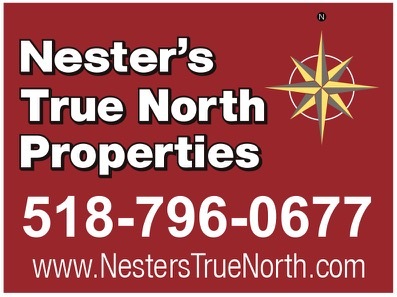 It has the close proximity to the NYC metro area that the more northern ski areas can only dream about. With the full build out at Belleayre, maybe more skiers will spend weekends in the Catskills instead of spending more hours driving further north. No amount of funding is magically going to transform the basically flat Bell and its lack of vert compared to its more vertically gifted private competitors. Then NYS built the Thruway farther from Bell and that sealed the deal – the so called Rt 28 area is just another of many podunk areas that get obsoleted by the route of modern roadways. Instead of a ski area you should be asking NYS for better road access. Besides being flat and short its farther away from the Thruway. What is it that they say about the key to business success – Location, Location, Location. Bell is cursed so many ways to Sunday that it has no hope of succeeding as a business – public or private. AS – If Belleayre is so useless how does it draw 3/4 of Whiteface draws? WF has way better terrain and lifts, it has a monster vacation town Lake Placid, and all the winter sports venues, yet barely draws more than Belleayre. The NYS Thruway was built in the mid 1950s and the section between Albany and NJ follows the Hudson Valley. It is the most efficient route. It made access to Belleayre way easier for those who live in the NYC metro area. Aren’t there already various loans, grants, tax abatements, PILOTs and other incentives available to private enterprises through various IDA and economic development agencies at the local, county and state level? How would what is being proposed be different from those existing programs? Wouldn’t an “independent review board” be duplicative of the agencies already in existence? I can already hear the clamor against yet another public beaurocracy. For perspective on the proposed $74 million in upgrades at Belleayre, the total cumulative investment in Gore is $56.8 million per ORDA’s fiscal year 2010-11 audited financials. That number represents the total historical cost of all improvements, equipment, buildings, infrastructure, etc. that are currently in service, before any depreciation. For WF it’s $41.7 million. I’m a strong proponent of state ownership of Gore, Whiteface and Belleayre, but a $74 million investment in Belleayre seems way out of line, even considering that some amount of “catch-up” investment is needed there. It’s hard to believe that the proposed spending will fly given today’s political / economic environment. The Gore and WF improvements started decades ago.The Gore high speed triple was cutting edge when it was installed in 1984. Maybe you need to put those amounts in todays dollars. Yes, like Belleayre, improvements have been made over an extended period of time (decades) at Gore and WF. And like Belleayre, those past improvements at Gore and WF will also need replacement in the future. Instead of re-casting past improvements in today’s dollars, a better comparison would be to look at the level of improvements proposed for Gore and WF over the same period of time as Belle’s $74 million upgrade plan. I don’t know the timeframe for Belle’s improvements, that wasn’t specified in the blog post. Maybe it’s in the UMP, but that’s not linked in the post either. And I don’t know what level of improvements are proposed for Gore and WF over whatever timeframe going forward, but if you’re able to find that out, then you might be able to convince me that a $74 million investment in Belle is reasonable and necessary. Google maps shows Belleayre being 42 minutes from the thruway whereas Whiteface is 55 if you are going North, which no one basically is, ever. Jeff – So you are going to compare the $98 million that NYS spent on WF and Gore with the addition of a few trails, a HSQ and a FGQ? There is no comparison. Then you seem to say if Gore and WF are getting similar money from now going forward you would be ok with Belleayre getting its money? Gore has doubled in size since the improvements started and there is not much more mileage to build out. What else does WF/Lake Placid need? ORDA just added the $18 million convention center in LP. Does that count? How about all the money spent on the venues? Does that count? NYS is in the ski business. It has neglected Belleayre for years. It is time to bring the place up to current industry standards. Yes, I am going to compare the $98 million investment in Gore & WF with the $74 million in proposed investment in Belle. I am making that comparison because a $74 million investment is not a mere “addition of a few trails, a HSQ and a FGQ.” If you are going to advocate for that level of investment in Belle, the investment needs to be justified and put into context. And when compared to the state’s investment in Gore & WF the $74 million proposed for Belle is out of scale. Here’s one more comparison for context. Gore and WF do a combined $16 – $18 million in gross revenue. The state’s combined investment in those facilities is $98 million, or 6 times gross revenue. Belle does maybe $5 or $6 million in gross revenue. The proposed $74 million investment is 12 to 15 times Belle’s gross revenue. Not only is that out of scale, it also significantly enhances a private for-profit enterprise (the Belleayre Resort). No wonder the other Catskill ski areas are pissed. My beef with the $74 million is NOT about Gore & WF getting their “fare share.” My beef is about spending money wisely. I agree that Belle has been neglected in the past and needs some “catch-up” investment. I would expect that catch-up investment to come in at more like $10 or $15 million, tops. Interesting discussion. Should funds be withheld from the other ny mtns until they show a profit? If you squeeze Gore hard enough, it might show a profit for a few years until those older lifts crap out. I doubt Whiteface could turn a profit under any circumstances. I like all 3 ny mtns and ski them when I can’t get to no vt. But profit centers they ain’t. Jeff- You can compare whatever you want but the comparison is not valid. Today, if you were planning the upgrades that have taken place over the last 30 years at Gore and WF, it would cost 2 to 3 times the $98 million spent. This is the only way to compare those upgrades to the proposed $74 million that Belle still does not have. The couple of trails, a HSQ, and a FGQ I mentioned in a previous post are what Belleayre has received over the last 20 years, not what is planned. The current plan calls for 3 new lifts and the replacement of 2 existing lifts for a total of 5 new lifts. It looks like the plan is adding at least 15 new trails depending on how they are named. @Aussie — I was trying to say that if lifts last 25 years and you have five of them, you have to replace one every five years. @Jeff — With regard to the timeframe of the Belleayre expansion, I didn’t see any discussion of that in the UMP, but those in the know seem to agree that this work would take at least 5 to 10 years. From everything I’ve seen, getting one new lift installed in a summer is usually a rush. Last point is a correction to the post above – Sawkill is apparently still in operation in the Catskills. For what it’s worth, it seems that most of the public comment the other night was pro UMP. Check Watershed Post’s twitter feed. The operative word is “most.” Stay tuned.